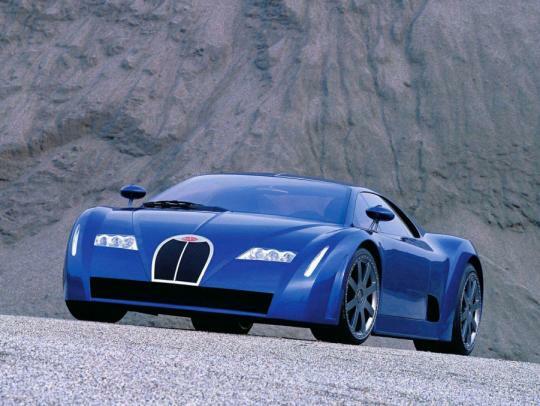 > Bugatti Veyron successor to be called The Chiron? The decade-long production run of the Bugatti Veyron finally comes to an end next year, but an even faster successor for what is still the official fastest production car in the world is coming—and it may be called the Chiron. Chiron is the name of a centaur in Greek mythology, but it is also the name of a Bugatti racing driver, Louis Chiron, who was influential in building the brand’s legend in the early parts of the last century. Although regarded a Bugatti Legend in his own right, Chiron was never honored with one of the recent six ‘Les Légendes de Bugatti’ special edition Veyrons that mark the end of the current car’s production. However, his name did feature on one of the original Giugiaro-penned concepts Bugatti rolled out in the late ‘90s to preview the Veyron. Incidentally, the name Veyron comes from another Bugatti racing driver, Pierre Veyron. Louis Chiron, born in Monaco, started racing for Bugatti in 1928 and continued racing well after the automaker folded. He was active in 1950’s inaugural season of Formula One and also raced for the likes of Lancia and Maserati during his career, although he didn’t have much success outside Bugatti. He eventually retired from racing in 1958. We should know what the Veyron successor will be called soon, as the car, or at least a concept version, is due to be revealed within the next 12 months. It will pack an uprated version of the Veyron’s quad-turbocharged 8.0-liter W-12, boosted further with hybrid technology, and the top speed is expected to be higher than the Veyron Super Sport’s world record top speed of 431km/h. the concept car in the picture above looks like the paper car that we goin to burn.. The one in the photo is actually the Chiron 18/3 Concept back in 1999. That was the 1st impression from me too. Quad-turbocharged 8.0-litre W12 with an electric motor? That is insane. Not sure if its track credentials would be as good as the P1. Isn't exactly the edgiest of car names available on the market.